PARDEEVILLE – Lorraine C. “Lorrie” Fundingsland, age 64, and Frank L. Fundingsland, age 68, passed away as the result of an automobile accident on Friday, June 8, 2018. Lorrie was born on April 10, 1954 in Minneapolis, Minnesota, the daughter of Glenn and Phyllis (Burton) Lund. She graduated from Lakeville High School in Lakeville, Minnesota in 1972. 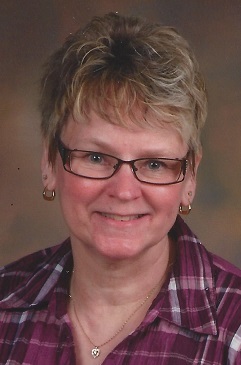 She was the Drama Club Director/Advisor for the Pardeeville High School and directed plays there for the last 19 years. Frank was born on January 9, 1950 in Minnesota, the son of Walter and Lorraine (Norby) Fundingsland. 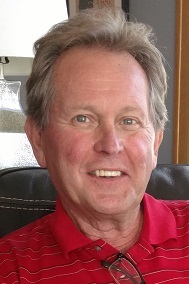 He graduated in 1968 from Madison, Minnesota High School where he was class president. Frank served his country in the United States Army during the Vietnam War. Lorrie and Frank were married on March 26, 1974. Lorrie enjoyed drafting home designs. She was an excellent seamstress as she made hundreds of costumes for the theater. Frank enjoyed reading, golf, and playing guitar. He was a member of the American Legion and was involved in musical theater. Together they enjoyed spending time with their family, and their grandchildren were the light of their lives. They are survived by Lorrie’s mother, Phyllis Lund, of Burnsville, Minnesota, Frank’s mother, Lorraine Fundingsland, of Willmar, Minnesota; their daughters, Amber (Mike) Lohmeier, of Sun Prairie, and Dawn Henderson, of Stevens Point; their grandchildren, Logan Henderson and Nora Lohmeier; Lorrie’s brother, Dale (Sandy) Lund, of Eagan Minnesota; her aunt, Marlys (Doris) Lund of the twin cities; Frank’s sister, Joey (Duffy) Huggins, of Nevada City, California; his brother, Paul Fundingsland, of Paynesville, Minnesota; his nephews, Todd (Hilary) Dorff, of Newcastle, California and Nathan Huggins, of Santa Rosa, California; his special friends, Mike “Stud” Call and Mickey Nyberg, other relatives and many friends. They were preceded in death by Lorrie’s father, Glenn Lund, Frank’s father, Walter Fundingsland, his sister, Sherri Dorff, his brother-in-law, David Dorff, his nephew Scott Dorff, and their granddaughter, Aria Henderson. Memorial visitation will be held from 1:00 p.m. until 4:00 p.m. on Saturday, June 30, 2018 at the Pflanz Mantey Mendrala Funeral Home in Portage, where a sharing of memories will be held at 4:00 p.m. Military Honors will be provided by Portage Area Veterans Honor Guard.